Thanks for Downloading How Does Info-Pro Help Tax Agencies? 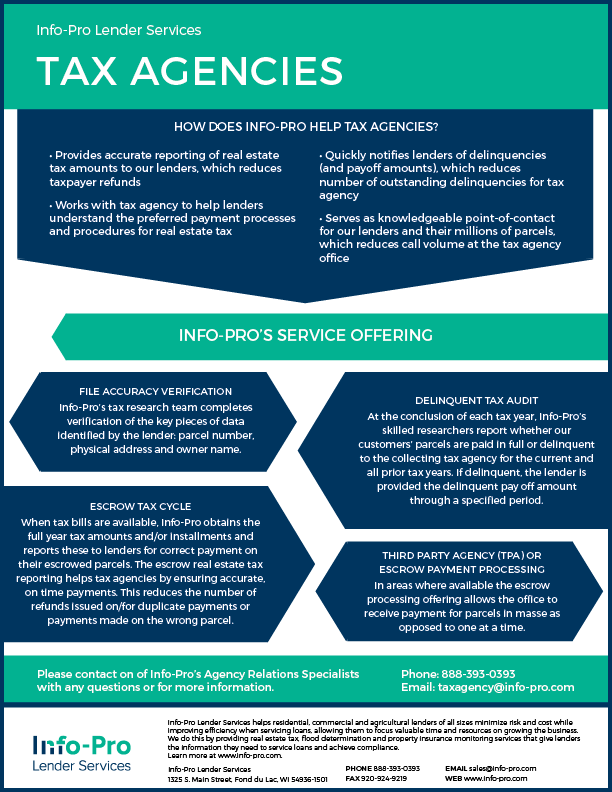 Thank you for downloading How Does Info-Pro Help Tax Agencies? Learn how outsourcing services like escrow tax cycle monitoring at your tax agency creates more efficiencies. Understand how to decrease risk through outsourcing tax delinquency notifications. Discover how Info-Pro works with tax agencies to support their current processes to save them time and money.